Nutella has a new contest! There are 41,125 prizes available to be won, ranging from $4 - $399.99! 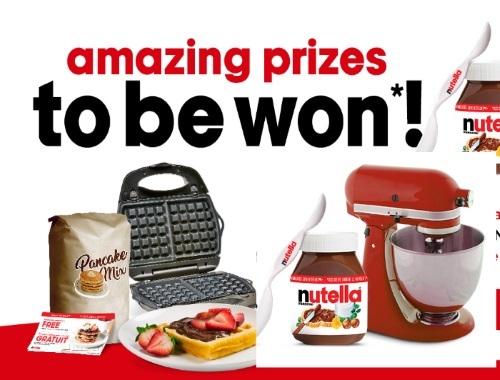 Prizes include coupons for a box of pancake mix, Nutella spife, waffle irons, stand mixers. Want to play? Just purchase a specially marked jar of Nutella for your pin, or visit the link below for a no purchase option.